Best Dog & Cat Ear Cleaner Products | Miracle pet ear cleaners to end the chronic ear infection cycle! Miracle pet ear cleaners to end the chronic ear infection cycle! Violet Pet Ear Cleaner, 8 ounce and Witch Hazel Dog and Cat Ear Cleaning Solution, 4 ounce are both powerful 1-step dog ear cleaners. 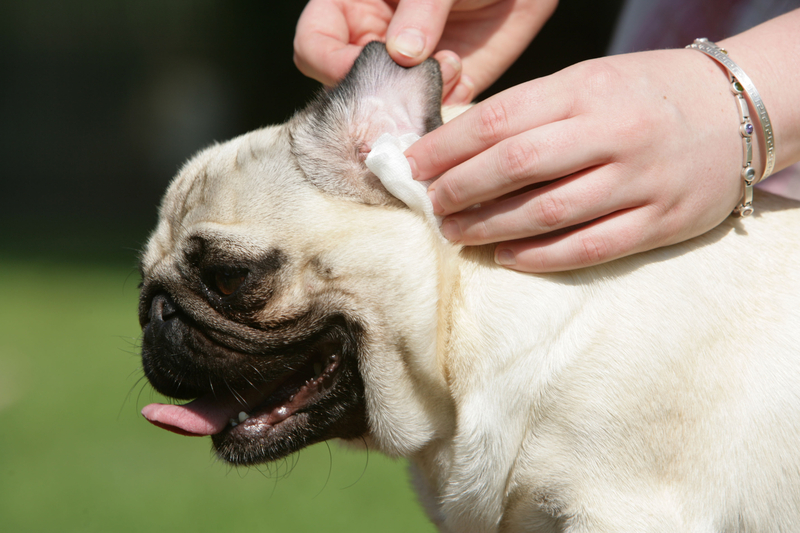 They not only remove wax and debris from the ear canal, but bring immediate relief to itchy, inflamed or infected dog ears. Pet owners will find either one to be the most simple, affordable and effective ear infection treatments available. Based on decades of personal experience treating chronic ear problems in rescued dogs and cats. I had tried every vet prescribed and herbal remedy out there and found they only temporarily relieved inflammation at best. Violet Pet Ear Cleaner and Witch Hazel Dog and Cat Ear Cleaning Solution brings dirty and itchy ears to a healthy state quickly.